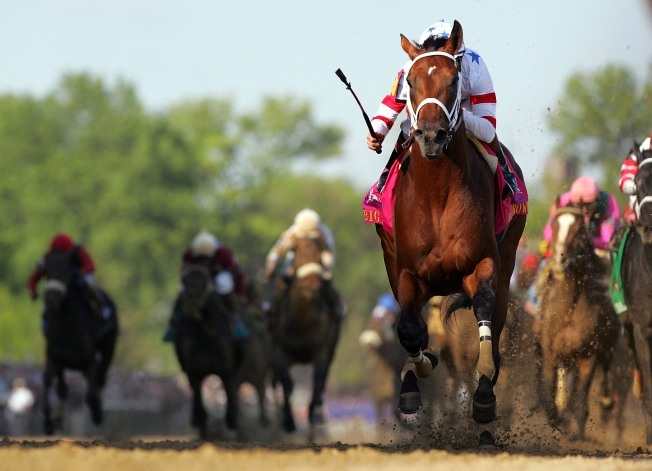 The Kentucky Derby is starting to compete with other sports by tapping a national ad agency for the first time in order to more effectively market the race as a "lifestyle brand." Rat catchers are in vogue again in northwest Germany. The last time the town of Hamelin had a rat problem of this magnitude -- ten times the number of rats typical for the town -- was 724 years ago, when the incident was noted in a Brothers Grimm fairy tale. Archaeologists in Morocco have uncovered what is believed to be two new species of dinosaur -- including a giant flying pterosaur and a sauropod. Both appear to be unknown to scientists. A mare from Kansas was bestowed the honor of being the horse with the the longest tail in the world. Her tail is 12 feet, six inches. Is it time for mint juleps yet? The Kentucky Derby is starting to compete with other sports by tapping a national ad agency for the first time in order to more effectively market the race as a "lifestyle brand." Many classic games were created during economic downturns -- Scrabble, Legos, Monopoly, etc. Check out other classic toy stories here. A replica of the world's first computer has been built.